What’s in a name? Choosing a name for a new business can be an unexpectedly complicated task; you want to keep it simple, yet meaningful; As its an extension of yourself, you want to be able to identify with the name, but also have other be able to identify as well. My name is Michael Bonshor; I am a member of the Dzawada’enuxw First Nation of Kingcome Inlet, BC. The beautiful Kingcome valley, located 300 Kms north of Vancouver, BC, centers our territory. I choose Ki’mola Indigenous Capital as its origin comes from my language. In Kwakwala, the language of my Kwakwaka’wakw people, Ki’mola means ‘many walking together’. I thought it to be an appropriate name given our company’s purpose is to bring First Nations and the Indigenous communities together; to work and invest together for the common goal of creating community wealth. Creating wealth in not a new concept in the Indigenous community. In my family and community, we have been creating and sharing wealth through our potlatches for generations upon generations. We created wealth from the abundance that our territories offered, and shared it with our community and other tribes. Many people believe that a rich and powerful person is someone who has a lot. The people who speak Kwak´wala, the Kwakwaka’wakw, believe that a rich and powerful person is someone who gives the most away. 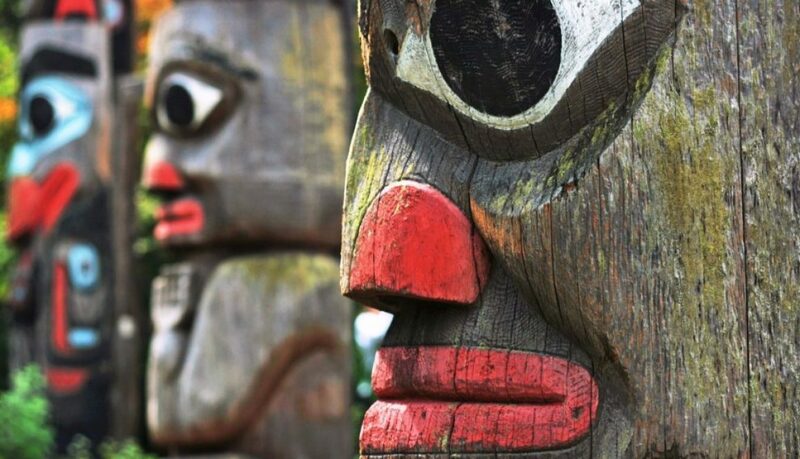 Since a time beyond memory, the Kwakwaka’wakw have been hosting potlatches and potlatching continues to play a central and unifying role in community life today. We are very excited to launch Ki’mola, as we see at the forefront of Indigenous investment and business development. It is a partnership of Ryan Smith of Terra Genex and myself. Terra Genex is a leading Canadian Private Equity and project development firm that has successfully developed and invested in 700 projects worldwide. We are bringing new and exciting business and investment opportunities to the Indigenous community and seeking partnerships to invest capital into First Nation projects. Our first round of investment offerings includes residential developments in Toronto, Canada; retirement and residential developments in Florida, US; and a new Innovation Centre in Niagara Falls, Canada. These projects represent over $700 Million in project value, and will create equity investments opportunities over $70Million. All of these projects are projected to return over 20% returns to the investors. These investment return estimates are based on a successful track record of successfully developing similar projects over the past 10 years. These are the types of investments that have rarely, if ever, been offered to First Nations. They represent an opportunity to build community wealth; and diversify investment holdings. These investments are ideal for communities that are investing for the long-term benefit of their community, and are seeking new, diversified ways to generate wealth for their membership. First Nations, rightly have an interest and desire to create investment opportunities that can create employment opportunities for their membership within their territories. However, many First Nation territories can only sustain a limited amount of capital investment, and can take time to successfully develop. Ki’mola’s investments, built on a track record of 700 successful projects, are ready to invest in now, and can provide excellent returns to First Nation investors. We look forward to sharing more information about our company and investment opportunities in future communications.